Saint Petersburg (Russian: Санкт-Петерб́ург Sankt-Peterburg), known as Petrograd in 1914-1924 and Leningrad in 1924-1991, is the second largest city of Russia, with 5 million inhabitants, and the former capital of the Russian Empire. Founded in 1703, it is not ancient, but its historical cityscape is remarkably well-preserved. The center of Saint Petersburg occupies numerous islands of the Neva River delta, divided by waterways and connected by huge drawbridges. Since 1991 it and some historical suburbs, including Peterhof, have been listed by UNESCO as a World Heritage Site . It is home to one of the world's largest museums of art, the Hermitage. 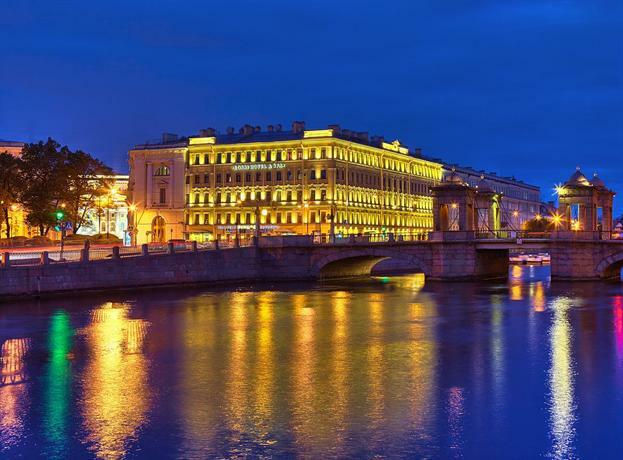 Many Russians know the city as Piter (Питер), a familiar diminutive of Saint Petersburg. Saint Petersburg was founded by Peter the Great in 1703 on the Neva river, amidst the land he had just conquered from Sweden, outside the area populated then by the Russian people. Pre-planned rather than spontaneous almost from the very beginning, the city, called by Peter "my window on Europe", was designed to look European rather than Russian, and many European architects were invited to work here. As the capital of the Russian Empire from the early 18th century to the early 20th century, the city grew steadily, saw many crucial events of the Russian history, and was a major cultural center. Many world-famous artists, scientists, writers and composers, such as Mendeleev, Dostoevsky and Tchaikovsky, lived and worked here. In 1917 the Russian Revolution started. The significance of Saint Petersburg has declined somewhat after the transfer of the Russian capital to Moscow in 1918, but this allowed its cityscape to remain largely intact to this day. During World War II, the city was besieged by the Wehrmacht for 872 days, resulting in more than a million of civilian losses, mainly from starvation. The city has undergone several name changes since its founding. Due to the German origins of the name "Saint Petersburg", its name was changed to the more Russian-sounding "Petrograd" in 1914 in the wake of World War I. Subsequently, its name was changed to "Leningrad" in honour of the founding leader of the Soviet Union, Vladimir Ilyich Lenin. It was only in 1991, after the breakup of the Soviet Union that the original name was restored, though the surrounding area remains known as Leningrad Oblast. Saint Petersburg has almost always been, or at least tried to be a city with strong foreign connections, and this is where its authenticity lies. Don't expect it to be overly indigenous. Matryoshkas and other such souvenirs popular among foreigners have very little to do with its authentic life. In April, the sludge resulting from melting snow and the dust which forms when it dries up may get tiresome. Russian visa requirements are complex but are not hard to manage with some online research. See the Get In section of the article on Russia for information. A visa is not required for a trip of less than 72 hours if you arrive in St. Petersburg by ferry or by cruise liner and you have a pre-arranged program of excursions by an approved local company. 1 Pulkovo Airport (LED IATA Аэропо́рт Пу́лково, Aeroport Pulkovo), Ul. Startovaya (ул. Стартовая), Northern Capital Gateway LLC (~17km south from the center), ☎ +7 812 337-38-22, e-mail: office@pulkovo-airport.com. serves many international and domestic destinations. A new terminal opened in 2014. There is unlimited free Wi-Fi. The airport has business lounges that are free for first and business class travelers but are available for use by all passengers upon payment of a fee. The lounges include snacks, drinks, televisions, and showers. City buses numbers 39, 39Ex and minibus K39 operate service between the airport and the Moskovskaya (Московская) metro station (RUB40, 35 minutes). Buses are available 05:30-01:30. From the Moskovskaya metro station, you can take metro line 2 (blue), which operates between 05:45 and 00:20, to the city centre (20 minutes). If you arrive late at night and the metro is not operating, you can also take a night bus from the metro station to the city centre. Minibus K39 also stops at the Aeroport commuter rail station. From there, you can take a train to Saint Petersburg's Baltiysky Station (17 minutes, 06:00-23:30), next to the Baltiyskaya metro station. This is only convenient if it is near your accommodation. Taxis can be ordered from the service booth in the arrivals hall. Prices are fixed based on the zone of travel; the cost to the city centre is RUB1000-1400, including booking fees. Without traffic, the trip takes 30 minutes, but it can easily take an hour during rush hour. 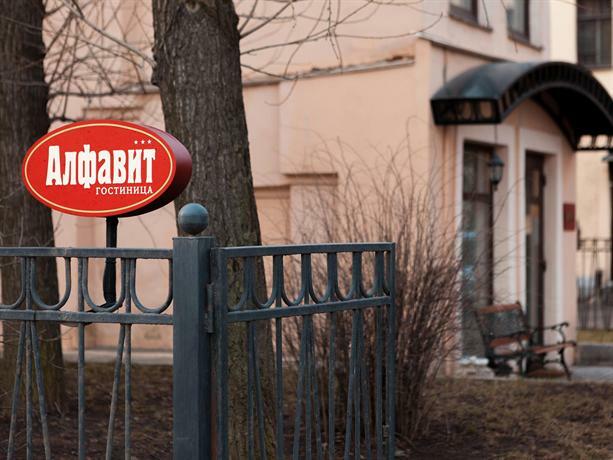 As an alternative, Taxi 068 has a mobile app that you can use to book a taxi to the center for RUB600, but you will need a Russian phone number to communicate. If calling from the airport arrival hall, it will take 10-20 minutes for the taxi to arrive. Pre-booked taxis will cost RUB1300-1600 to the centre, but you will be welcomed in the arrival hall by your driver carrying a sign with your name. Pre-booking through the internet is without risk, no credit card information is asked, and pre-payment is not required. Some taxi companies, such as LingoTaxi, have English-speaking drivers and dispatchers. Tickets can be bought at the train stations or online. Long distance train tickets are generally more expensive if bought close to the date of travel. See Russia#By train 2 for more details on travelling in Russia by train. 2 Baltiysky Station (Балтийский вокзал), Nab. Obvodnogo Kanala, 120 (: Baltiyskaya). This is one of the busiest railway stations in Russia by volume of suburban traffic. The station was modeled by architect Alexander Krakau after Gare de l'Est in Paris. Construction started in 1854. The station was opened on 21 July 1857 as the Peterhof Railway Station. The station retains a glass roof over the terminal platforms and is flanked by two-storey wings. The left one used to be reserved for members of the Russian royalty who went to their palaces in Strelna, Peterhof, Oranienbaum. A glass panel on the façade still features the original clock, designed by Pavel Bure, a celebrated watchmaker to the tsar and the ice-hockey players' ancestor. Trains operate to/from Petrodvorets (Peterhof), Lomonosov (Oranienbaum), Gatchina, Luga. Also used by trains to/from Aeroport station, with connecting buses to Pulkovo airport. 3 Finlyandsky Station (Финляндский вокзал), Lenin Square (пл. Ленина, ул. Комсомола), 5 (: Ploschad Lenina ("Площадь Ленина").). Built by Finnish State Railways as the eastern terminus of the Riihimäki-Saint Petersburg railroad, it was designed by Swedish architects and opened in 1870 but was heavily reconstructed in the 1950s and 1970s. The station formerly contained a special pavilion for Russian royalty. Trains operate to/from Helsinki (Allegro high speed) and Vyborg. 4 Ladozhsky Station (Ладожский вокзал), Zanevsky Prospekt (Заневский проспект, Площадь Карла Фаберже), 73 (:Ladozhskaya «Ладожская», : 4М, 4МА, 5, 21, 24, 27, 30, 77, 82, 92, 123, 168, 429, 453, 462, 531, 532, 533, 860Л : 8, 10, 59, 64; :1, 22; : К-5, К-17, К-21, К-32, К-77, К-92, К-95, К118, К-123, К-167, К-187, К-271, К-322, К-369, К-401, К-429, 430, 430А, К-462Р, 531К, К-533.). This is the newest and most modern passenger railway station in Saint Petersburg, designed by architect Nikita Yavein, is one of the largest in Russia with a capacity of up to 50 commuter departures and 26 long distance departures accommodating 4,500 passengers per hour. Built at a cost of RUB9,000,000,000 (US$300 million), the station opened in 2003 for the 300th anniversary of the city's founding. Trains operate to/from Petrozavodsk (RUB835), Arkhangelsk (RUB1697), Tyumen (RUB3038), Tula (RUB1435), Krasnodar (RUB2839), Murmansk (RUB2030), Ekaterinburg, Cheliabinsk, Omsk, Novosibirsk, Astana (Kazakhstan), Helsinki (night-train Leo Tolstoi), and other cities. 5 Moskovsky Station (Moskovsky station, Moskovsky vokzal, Московский вокзал), Nevsky av., 85 ? Ploshchad Vosstaniya (Площадь Восстания), 2 (:Ploshchad Vosstaniya (closer)(Площадь Восстания) and :Mayakovskaya (Маяковская); 1М, 1Мб, 3, 3М, 3Мб, 4М, 4Мб, 5М, 5Мб, 7, 15, 22, 26, 27, 54, 65, 74, 76, 91, 141, 181, 191. 1, 5, 7, 10, 11, 22), ☎ +7 812 457-44-28. It has an easily recognizable Neo-Renaissance frontage on Nevsky Prospekt and Uprising Square, erected in 1844-51 to a design by Konstantin Thon. Although large "Venetian" windows, two floors of Corinthian columns and a two-storey clocktower at the centre explicitly reference Italian Renaissance architecture, the building incorporates other features from a variety of periods and countries. A twin train station, now known as the Leningradsky railway station, was built to Thon's design at the other end of the railway, in Moscow. Trains operate to/from Moscow, Novgorod, Ukraine, Azerbaijan, Volgograd, Kazan, Samara, Rostov-na-Donu, Ufa, Sochi, and other cities. 6 Vitebsky Station (Витебский вокзал, Станция Санкт-Петербург-Витебский), Zagorodny av. (Загородный проспект), 52? (: Pushkinskaya (Пушкинская), : Zvenigorodskaya (Звенигородская); 1М, 1Мб, 4М, 4Мб, 5М, 5Мб; : 16; : 3, 8, 15, 17; : К-25, К-90, К-124, К-177, К-258, К-338, К-800, К-900.). Formerly known as the Tsarskoe Selo Station, it was the first railway station to be built in Saint Petersburg and the whole of the Russian Empire. Architecture: Construction started in 1901 and lasted for three years. Stanislaw Brzozowski gave the new two-storey station an ornate frontage in an assortment of historical styles, with decorative reliefs, floriated Jugendstil detailing, outsize semicircular windows and two regular features of 19th-century train stations: a pseudo-Renaissance cupola and a square clocktower. - However, it was Sima Minash's opulent Art Nouveau interior that established the building as the most ornate of St. Petersburg stations. Minash was responsible for the sweeping staircases, foyer with stained glass and spacious halls boasting a series of painted panels that chronicle the history of Russia's first railway. The building's soaring arches and expanses of glass proclaimed the architect's familiarity with advanced construction techniques of the West. In 2003, the station underwent a painstaking restoration of its original interior and Jugendstil decor. Apart from the replica of the first Russian train, curiosities of the Vitebsk Station include a detached pavilion for the Tsar and his family and a marble bust of Nicholas I. Trains operate to/from Pushkin (formerly Tsarskoe Selo), Pavlovsk, Czech Republic, Hungary, Poland, Romania, Moldova, Bulgaria, Germany, Riga (14 hours, from RUB2200), Estonia Ticket prices (from): Ukraine, Odessa (RUB3813), Kiev (RUB3366); Belarus,Grodno (RUB2999), Vitebsk (RUB1629); Lithuania, Vilnius (RUB2921); 'Local trains': Nevel (RUB815), Novosokolniki (RUB689), Velikie Luki (RUB880), Soltsy (RUB549), and other cities. Sapsan high-speed trains (4-5 hours, 6 per day, RUB2300-3500 for 2nd class if bought several days in advance) make travel between downtown Saint Petersburg and downtown Moscow very easy. Some trains make a few stops including Tver. The crew speaks English. Overnight rapid trains (8-9 hours, RUB800+) are slower buy usually cheaper. Price and comfort levels vary, with the luxurious private Grand-Express "hotel train" (featuring some compartments with showers!) at the high end, all the way down to budget connections in third-class platzkart cars. Second-class coupe coaches, which include a bed and sheets, are a good value. VR Group operates high-speed Allegro trains running at up to 220km/h between Helsinki and Saint Petersburg (3.5 hours, 4 per day, €59-79 for 2nd class). Tickets originating in Finland can be purchased from the VR Group website, via some travel agencies, and at major VR train stations in Finland. Border-crossing formalities are completed on board the train immediately after departure from Helsinki. The trains are almost always on time and there are no delays in crossing the border. On-board currency exchange is available. 1 Lux Express, Mitrofanjevskoe Shosse (Митрофаньевское шоссе), 2/1 (: Baltiskii), ☎ +7 812 441 3757. operates service to/from Tallinn (€14-30, 7 hours, 7x per day) with a stop in Narva (€9-16, 5 hours, 7x per day), Tartu (€22-25, 7 hours, 5x per day), as well as a service to/from Riga (4x per day, 11 hours, €33-35), with continuing service to the rest of Europe. Office at Mitrofanjevskoe Shosse 2-1, near Metro Baltiskii. Tel: +7 812 441 37 57. Lux Express buses depart from Baltiskii Station and the main bus station (Avtovokzal). 2 Ecolines (Amron-ecolines, Transportnaya Kompaniya), Podyezdnoy pereulok (Подъездный переулок), 3 (: Pushkinskaya (Пушкинская)), ☎ +7 812 314 2550. 10:00-20:00. Operates daily departures to Riga (€36, 10-12 hours, 3x per day) as well as service to Minsk (€34, 15 hours, 1-2x per day) and Kiev (€68, 19 hours, 2x per day). Office at Pod'ezdniy pereulok 3 near Metro Pushkinskaya 10:00-22:00. Tel: +7 812 314 2550, +7 901 300 6170. Ecolines buses depart from Vitebsky vokzal (near Metro Pushkinskaya) and the main bus station (Avtovokzal). Except during the winter, the 9 low bridges in St. Petersburg are drawn during the night to allow for the passage of boat traffic. Therefore, if you don't make it to the side of the river where you are staying before the bridges are drawn and there are no high bridges to cross, you will be stuck until the bridges are lowered. There are "breaks" when some the bridges are lowered in the middle of the night for approximately 30 minutes to briefly allow everyone to get home. The bridge schedule is particularly noteworthy for those staying on Vasilyevsky Island, which is unreachable at certain times of the night. Seeing the bridges drawn in the middle of the night is a must for all visitors to the city! The Bolshoy Obukhovskiy Most, 14 km south of the Alexander Nevsky Bridge (Most Aleksandra Nevskogo), is never drawn, allowing for 24-hour crossing of the Neva River. However, the bridge is out of the way and will increase the cost of your taxi or Uber. Saint Petersburg's metro system is the second largest in Russia, after that of Moscow. The metro is a cheap and effective way to get around the city, and also a major tourist attraction due to the beautiful decorations of the stations. Amateur photography (without a tripod, etc.) is allowed, although professional photography is prohibited. The trains are fast and run frequently. During rush hour, there are often only 30 seconds between trains. Fares are RUB45 per entry regardless of the distance traveled. Multi-trip passes can be purchased including a 10-trip pass for RUB355 (must be used within 7 days of purchase). The system can be accessed by inserting a brass token into the turnstile slot, by tapping a Sputnik smart card purchased from a machine at the station, or by tapping a Mastercard PayPass or Visa PayWave card on the white circle near the turnstile. Large baggage requires payment of 1 additional fare. Buses (автобус) and trolleybuses (троллейбус - trolleibus) run frequently and cover much of the city. Route information is available using Google Maps. Information for trolleybuses and trams is also available online. There is also a free mobile app Yandex.Transport (Яндекс.Транспорт) (Google Play, AppStore). It contains routes of all ground transportation and shows transport online on the map. Uber is a safer and cheaper method of transport than taxis. Drivers usually don't speak English, but communicating with the driver is not necessary since the fares and destinations are all handled through the app. Commuter trains (электричка, elektrichka) may be useful to get to the suburbs. Fares are based on travel distance. Speeds are moderate, but trains operate infrequently. Information is available in Russian online. In the same neighborhood, walk down Nevsky Prospekt, which serves as Saint Petersburg's main grand avenue for shops (especially the historic mall of Gostiny Dvor), theaters, and another realm of palaces and cathedrals, most notably the massive Kazan Cathedral. The Kazan Cathedral is functioning, so its easier to visit than the other big cathedrals (no lines, entrance fees, etc.). In the same neighborhood, but off Nevsky, are the Square of the Arts, where you'll find the Russian Museum—an absolute can't-miss for art lovers. The Mariinsky Theater is one of the world's most beautiful performance venues, and you should check it out even if you can't see an opera or ballet performance. Mammoth Saint Isaac's Cathedral, with its impressive balcony views, is another obvious sightseeing destination. Complicating the desire to see the city's highlights in a short period of time are the magnificent suburban palaces at Peterhof, Pushkin, Lomonosov, Strelna, and Pavlovsk. Any tourists who visit Saint Petersburg and don't see neither the Tsarskoye Selo palaces at Pushkin, nor the Bolshoi Palace at Peterhof, really should be a bit ashamed of themselves. It's like going to Paris and skipping Versailles. Of the three, the Pavlovsk Palace would be the least unforgivable to miss, but if you have the time—go. More time? The center has a world of more sights. Mars Field with the Memorial to the Revolutionary Fighters and the Eternal Flame, the Circus, wonderfully baroque Smolny Cathedral, Peter the Great's Cabin, the rolling parkland of the Tauride Palace and Gardens, Alexander Nevsky Monastery, the Yusupov Palace where Rasputin was killed (if you get the chance to see a performance in the theater inside, jump on it), the neoclassical bust-filled Summer Gardens, Mikhailovsky Castle, the Marble Palace, the small but powerfully heartrending Museum of the Defense and Blockade of Leningrad. 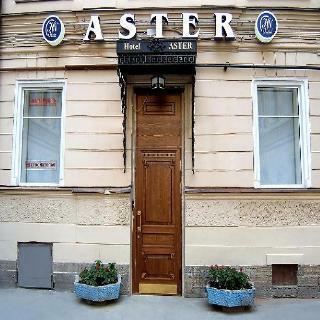 Literary buffs should seek out Dostoevsky's local haunts, including the famous "Murder Walk" from Crime and Punishment, which will take you right from Raskolnikov's apartment to the door of the very apartment where the grisly deed was done. 1 Mariinsky Theater (Мариинский театр, Mariinskiy Teatr, Maryinsky, Mariyinsky), Theater Square (Театральная площадь), 1 (: 2, 3, 6, 27, 71 & : K1, K6K, K169, K306 to stop 'Theater Square'), ☎ +7 812 326 4141. The Mariinsky Theater (formerly the Kirov, which is the name the troupe still uses when touring abroad) is world-class for both opera and ballet. There are English supertitles for operas sung in Russian; operas in other languages have Russian supertitles. Performances are offered in two halls: the main theater, and the newly-built Mariinsky Concert Hall. Tickets can be purchased on the theater's website. Cavos rebuilt it as an opera and ballet house with the largest stage in the world. With a seating capacity of 1,625 and a U-shaped Italian-style auditorium, the theatre opened on 2 October 1860 with a performance of A Life for the Tsar. The new theatre was named Mariinsky after its imperial patroness, Empress Maria Alexandrovna. 2 Mikhailovskiy Theater (Mikhailovsky, Михайловский театр, Former: Mussorgsky Academic Opera and Ballet Theatre; Small Academic Opera Theatre of Leningrad; Small Academic Theatre; the State Academic Theatre of Comic Opera), Ploshad Isskustv 1 (Between the Russian Museum and the Grand Hotel Europe, : Nevsky Prospekt (Невский проспект), : К100), ☎ +7 812 595 4305, e-mail: boxoffice@mikhailovsky.ru. - The exterior is not as recognizable as the Mariinsky, but the interior is nearly as grand, and the theater hosts both Russian and foreign headliners in opera and ballet. It was founded in 1833. It is named after Grand Duke Michael Pavlovich of Russia. RUB600-2700. 3 St. Petersburg Opera (Санкт-Петербург Опера), Galernaya Ul. (Галерная улица), 33 (West of the Bronze Horseman. - From : Sadovaya "Садовая", : Sennaya Ploschad "Сенная площадь" further to stop "Plocshad Truda" : 186, 124, 169. - From : Admiralteyskaya "Адмиралтейская", further to stop "Plocshad Truda" : 22, 3, 27; : 22, 5; : 180, 16), ☎ +7 812 312 3982, e-mail: spbopera@yandex.ru. 12:00-15:00 & 16:00-19:00. An intimate theater (half-sized stage, and only about 150-200 audience seats) which puts on the major repertory operas at a lower price than the major theaters and has a fascinating foyer - one has to see it to believe it. RUB300-3000. 4 Conservatory Theater (Санкт-Петербургская государственная консерватория имени Н. А. Римского-Корсакова), Theater Square (Театральная площадь), 3 (Across the street from the Mariinsky Theater, : Sadovaya «Садовая», : Sennaya Ploschad «Сенная площадь» then - 15-20 min walk. direction to channel Griboyedov or : 1, 67, 124; /: Nevsky Prospekt/Gostiny Dvor «Невский Проспект»/«Гостиный Двор», then - : 3, 22, 27; : 180, 169, 306), ☎ +7 921 780-1123 (mobile), fax: +7 812 570-6088, e-mail: theatre_conserv@mail.ru. While the hall itself is not lavish - quite sterile, really - a good option for seeing Russian and repertory operas cheaply, performed by faculty and students of the conservatory where Tchaikovsky (and many other famous figures from the Russian music world) studied. RUB300-1500. 5 Alexandrinsky Theatre or Russian State Pushkin Academy Drama Theater (Александринский театр, Российский государственный академический театр драмы им. А. С. Пушкина), Ostrovsky Square(площадь Островского), 6 ( and : Gostinyy Dvor (Гостиный двор)), ☎ +7 812 570-7794. 12:00-14:00 & 15:00-19:00. 6 Baltic House Festival Theatre (Балтийский дом former Ленинградский Государственный театр им. Ленинского Комсомола), Alexandrovsky Park, 4 ( Gorkovskaya (Горьковская)), ☎ +7 812 232-3539, e-mail: fc@baltichouse.spb.ru. 11:00-19:00. 7 Saint Petersburg Comedy Theatre (Nikolay Akimov Saint Petersburg Comedy Theatre, Санкт-Петербургский академический театр комедии им. Н. П. Акимова), Nevsky Prospect (Невский проспект), 56 ( and : Gostinyy Dvor), ☎ +7 812 312-4555, e-mail: teatr@komediaspb.ru. Cash desks 11:30-15:00 & 16:00-19:30. 10 Lensoviet Academic Theatre (Санкт-Петербургский академический театр имении Ленсовета), Pr. Vladimirski (Владимирский пр. ), 12 ( and : "Владимирская", and : Dostoevskaya "Достоевская", and : Mayakovskaya "Маяковская"), ☎ +7 812 713-2191, e-mail: tickets@lensov-theatre.spb.ru. 11:00-19:00. In the former Korssakov family mansion. The resident company was founded as the Young Theatre in 1929, then renamed the New Theatre in 1933, and finally the Leningrad Soviet Theatre in 1939. 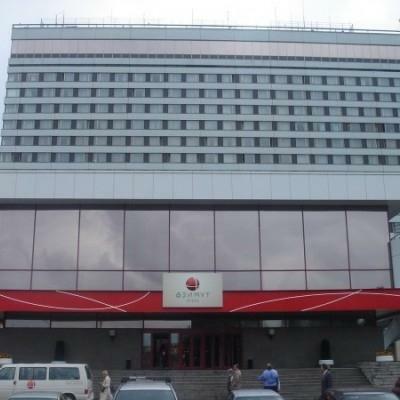 11 Liteiny Theatre (State Dramatic Theatre on Liteinyi Prospect, Государственный драматический Театр на Литейном), Liteinyi Prospect (Литейный проспект), 51 (: Mayakovskaya "Маяковская" 0.8km, : Gostinyy Dvor (Гостиный двор) 0.9km; : 15, : 8, 15, 3; : К258, К177, К90), ☎ +7 812 273-5335, e-mail: pochta@naliteinom.ru. In 1993 the Liteinyi's theatre troupe toured America with a production of George Bernard Shaw's Great Catherine in Russian. 13 Ostrov Theatre (Драматический театр «Остров»), Kamennoostrovskiy prospekt (Каменноостровский проспект), 26-28 ( Gorkovskaya «Горьковская». : 46, 76, 183, 223, 30. : 46, 76), ☎ +7 812 346-3810, fax: +7 812 346-43-43, e-mail: info@ostrov-teatr.ru. Ticket office: W-Th 14.00-19.30, F-Su 14.00-19.00; All performances start at 19:00. In the former Benois House. 15 Zazerkalie theatre ("Looking Glass" Children's Musical Theatre, Детский музыкальный театр «Зазеркалье»), Rubinstein Street (улице Рубинштейна), 13 (: Vladimirskaya 'Владимирская', Dostoevskaya 'Достоевская'), ☎ +7 812 712-4393, fax: +7 812 712-4395. The theatre appeared in August 1987 and was named after the Lewis Carroll's "Through the Looking-Glass, and What Alice Found There". The Children’s experimental theatre “Zazerkalie” appeared in 1992. 16 Youth Theatre on the Fontanka (Saint Petersburg State Youth Theatre on the Fontanka, Санкт-Петербургский государственный молодёжный театр на Фонтанке), Naberezhnaya Reki Fontanki (Набережная реки Фонтанки), 114 (: Tekhnologichesky Institut 'Технологический институт', further by walk or : К3, К36, К115, К124, К186, К213, К350 to stop 'Naberezhnaya Fontanki'), ☎ +7 812 316-6564, e-mail: zavlit@mtfontanka.spb.ru. Daily 12.00-15.00 & 15.40-20.00. It plays Russian classic plays in the winter seasons and hosts a rock concert in the summer. RUB200-1200. 17 Circus Ciniselli (Цирк Чинизелли, Большой Санкт-Петербургский государственный цирк), Naberezhnaya Reki Fontanki ( Набережная реки Фонтанки), 3 ( and : Gostinyy Dvor (Гостиный двор) 0.5km), ☎ +7 812 570-5198, fax: +7 812 570-5260, e-mail: info@circus.spb.ru. Daily 11:00-15:00, 16:00-19:00. It was the first stone-built circus in Russia; it is situated beside the Fontanka.Opened on 26 December 1877, with a large stage (13m in diameter) and stables (housing 150 horses). The architect was Vasily Kenel. RUB600-2300. 18 Saint Petersburg Philharmonia Grand Hall (Bolshoi Zal, Санкт-Петербургская государственная филармония им. Д. Д. Шостаковича, Большой зал), Mikhailovskaya Ul. 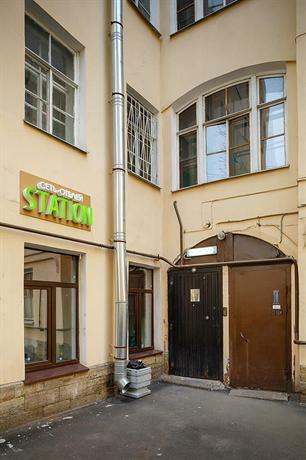 (Михайловская улица) 2 (Entrance across from the Grand Hotel Europe, : Nevskiy prospekt), ☎ +7 812 710-4290, fax: +7 812 710-4085, e-mail: melnikova@mail.ru. Cash desks 11:00-15:00 & 16:00-20:00. The orchestra established in 1802. The Bolshoi Zal (large hall) of this building is one of the best known music halls in Russia. The building that houses the Philharmonia was completed 1839. Architect: P. Jacot; and Facade design: C. Rossi. - A world-class orchestra which records and tours abroad. The Small Hall (Maliy Saal) hosts excellent chamber music performances and recitals. RUB600-5000. 19 St. Petersburg Philharmonic Small Hall (Malii Zal, Санкт-Петербургская государственная филармония им. Д. Д. Шостаковича, Малый зал), Nevsky Prospekt (Невский проспект), 30 (: Nevskiy prospekt), ☎ +7 812 571-8333, fax: +7 812 571-4237. Cash desks 11:00-15:00 & 16:00-19:00. The Small Hall (Maliy Saal) of the Philharmonic hosts excellent chamber music performances and recitals. 20 Jazz Philharmonic Hall (Джаз-филармоник холле, Эллингтон холле), Zagorodnyy prospekt (Загородный пр. ), 27 (South of Nevsky Prospekt, use : Vladimirskaya 'Владимирская' or : 16), ☎ +7 812 764-8565, fax: +7 812 764-9843, e-mail: fdm@jazz-hall.ru. Cash desks: Daily 14:00-20:00. Offers a variety of jazz performances several times per week. RUB800-1200. 21 Ice Palace (Ledoviy Dvorets, Ледовый Дворец), prospekt Pyatiletok (Проспект Пятилеток), 1 (: Prospekt Bolshevikov 'Проспект Большевиков'), ☎ +7 812 718-6620, e-mail: e-mail@newarena.spb.ru. Cash desks: Daily 11:00-20:00. It was built for the 2000 Ice Hockey World Championships and opened in 2000 & cost USD 60 million. It holds 12,300 people. One of several sports arenas that also serves as a concert hall for pop and rock concerts. RUB800-10000. 22 Oktyabrskiy Big Concert Hall (БКЗ Октябрьский, Большой концертный зал «Октя́брьский»), Ligovskiy Prospekt (Лиговский проспект), 6 (: Ploshad Vosstaniya 'Площадь Восстания'), ☎ +7 812 275-1300. M-F 11:00-20:00; Sa Su 11:00-19:00. For Pop and rock concerts and for performance of variety actors and also dancing and ballet collectives in an auditorium. RUB600-12000. 23 Dom Kino (Киноцентр Дом Кино), Karavannaya Ulitsa (Караванная улица), 12 (: Gostinyy Dvor (Гостиный двор)), ☎ +7 812 314 5614, e-mail: info@domkino.spb.ru. Sometimes shows films in their original language. RUB100-250. 24 Avrora Cinema, Nevsky Prospekt (Невский проспект), 60 (: Nevskiy prospekt), ☎ +7 812 942-80-20. Daily 11:00-20:00. RUB250-700. 25 Anglotourismo Boat Tours, Naberezhnaya reki Fontanki, 21 (: Gostinyy Dvor (Гостиный двор)), ☎ +7 921 989 4722. Tours at 11:00, 13:00, 15:00, 17:00, 19:00, 21:00, 00:20. Canal boat tours in English, departing from near the Anichkov Bridge (Nevksy Prospekt and Fontanka) in season (May 7 - Sept 30). RUB600-750, Students: RUB500. Watch football: FC Zenit Saint Petersburg play in the Russian Premier League, the top tier of Russian football. Their home ground is Krestovsky Stadium, on Krestovsky island 10 km north of city centre. Take Metro M3 (Green Line) west towards Begovaya and get off at Novokrestovskaya. Russian Language and Culture Institute @ Saint Petersburg State University. 12-15 students per class. 4 weeks @ (21) 45-minute lessons per week: RUB33600. School of Russian and Asian Studies. CREF - Centre of Russian, English & French Studies. EducaCentre, 2 locations: Komendantskaya square #1, Atmosphere Shopping Mall, 6th floor and 12th line of Vasilievskiy Island, ☎ +7 812 676 0075, e-mail: info@russiancentre.net. (20) 45-minute group lessons per week: €180, (30) 45-minute group lessons per week: €225; €60 administrative fee. EDUCA Russian Language School, 3 Bolshaya Morskaya (Metro: Gostiny Dvor), ☎ +7 812 954 7320, e-mail: dos@educals.org. Not to be confused with the similarly-named school listed above. Central location, although teachers are younger and less experienced. (20) 45-minute group lessons per week: €195, (30) 45-minute group lessons per week: €240; €65 enrollment fee. Liden & Denz, Italyanskaya ulitsa #17. Highly rated, although pricier than other schools. (20) 50-minute group lessons per week: €280, 2-week minimum. ProBa Language Centre, Zagorodnyi prospekt #17 (Metro: Vladimirskaya or Dostoyevskaya), ☎ + 7 812 9061308, e-mail: info@russian-learning.com. Facilities are very basic. 2 week minimum. Group classes: €450 for 2 weeks.. There are plenty of ATMs and legit currency exchange booths. Do not exchange money on the street: the rate won't be any better, and you run a high risk of encountering any of numerous scams. The famous place to shop is of course on Nevsky Prospekt in the Center. The streetfront shops there, Passazh, and the historic mall at Gostiny Dvor skew upscale, but there are street markets just off Nevsky, most notably Apraksin Dvor (south on Sadovaya from Gostiny Dvor) where you can get anything on the cheap (especially cheap if you speak Russian). Hot Russian crepes (bliny/блины) match excellently with caviar, mushrooms, caramel, berries, or what have you with a cup of tea on a cold winter street. Teremok (Теремок) is the street-corner kiosk "chain" for bliny but it now has indoor fast food spots around the city, along with Chainaya Lozhka (Чайная ложка) and U Tyoshi Na Blinakh (У тёщи на блинах). The other really tasty local offerings for street food/fast food include pirozhki, shawarma (шаверма), and pyshki (пышки). Pirozhki are fried buns stuffed usually with beef, vegetables, potatoes, and mushrooms, and are easy enough to find, but not quite as widespread as in Moscow. Shawarma is a decidedly Saint Petersburg phenomenon (you won't find much of it in other Russian cities), served mostly by Azeris, and is everywhere—in cafes and on the street. Pyshki are Russian doughnuts, wonderful with coffee, and are strongly associated with Saint Petersburg. For restaurant dining, offerings are diverse. A pretty unique place to eat Russian cuisine would be the attractive restaurant on the grounds of the Peter and Paul Fortress. International, Western European, Asian fusion (Russified Chinese food is really good, but requires a culinary dictionary to order), etc. are just as easy to find as Russian, and sushi is very popular. Some of the most exciting food to try comes from the former Soviet Republics. Georgian cooking, despite its obscurity, is one of the world's great cuisines, and should not be missed. The Central Asian (usually Uzbek) restaurants are a lot of fun too. 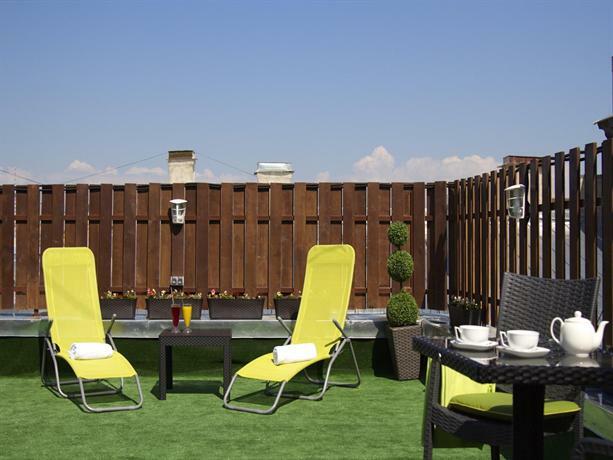 The best area for a tourist to stay in is generally considered to be near the Nevsky Prospekt Metro. You'll be able to walk to most of the main attractions, and there are tons of restaurants, shops, cafes, clubs, etc. right on Nevsky. Staying off Nevsky along one of the beautiful canals, though, would also be a fabulous idea. CafeMax (Кафемакс), Nevsky Prospekt 90-92 (Metro: Mayakovskaya or Ploschad Vossitanya), ☎ +7 812 273 6655, e-mail: 2736655@mail.ru. 24 hours per day. A cheap internet cafe with printer access. Will print items, such as train tickets purchased online, if the file is emailed to the attendant. Policemen & bureaucrats. For any Western traveller disturbing the system, permission to visit the country can be refused at the border. The average street policeman usually cannot speak any foreign language, but if you look like a tourist, you could be a target for money income source. Don't panic! Always ask for a receipt and the names of the officers. Theft of photo equipment is really a big problem in Saint Petersburg. Photo bags probably won't save your camera—it can be opened in less than 5 seconds; the straps can be slashed with a knife even more quickly. Cameras should be kept in bags slung across the body at all times, with your hands keeping a firm grip on them, and no watches or jewelry should be visible at all. Quite obviously, do not show in public that you have a lot of money. Robberies are not uncommon, and many foreigners have been threatened at gun and knife point. However, foreigners are not targeted specifically, and robbers will attack both foreigners and natives that carelessly reveal their wealth. Downtown and western parts of the city are safest. Suburbs like Kupchino, Veteranov and Ligovo are struggling with criminality and poverty. Russian driving is wild. Drivers attack their art with an equal blend of aggressiveness and incompetence. Guidelines are lax and rarely followed. As a pedestrian, take care when crossing the roads, since it might be difficult for drivers to notice you. If you are thinking of driving yourself, bear in mind that the local traffic police are corrupt, but this issue has improved drastically. Pedestrian crossings with a traffic light are quite safe to use, most car drivers will stop. Gay travelers must practice extreme caution while staying in Saint Petersburg, as attacks often occur. Many Russian people look upon public demonstrations of homosexuality with undisguised contempt. It is advised to not openly display one's sexuality. 3 American Medical Clinic, Moyka Embankment 78 (Just west of St. Isaac's Square, : Admiralteyskaya 'Адмиралтейская' or : Sadovaya 'Садовая'), ☎ +7 812 740 2090, fax: +7 812 310 4664, e-mail: info@amclinic.ru. 24 hours. Includes dental clinic and pediatric unit. Consultation from RUB2700. 4 Euromed, Suvorovsky Prospekt (Суворовский пр. )60 (: Chernyshevskaya 'Чернышевская', further To stop Tulskaya ulitsa : 22, 22a, 136; : K15, K76), ☎ +7 812 327 0301, e-mail: euromed@euromed.ru. 24 hours. Multi-specialty medical center that provides a full range of medical services,applying international standards and protocols of diagnostics and treatment. Includes its own laboratory and pharmacy units, in-patient department with comfortable 5-star hotel class wards, ambulance team. English-speaking personnel provides direct insurance billing and any administrative support to the patient (accommodation, visas, transfers, medical evacuations). 5 MEDEM, Ulitsa Marata (ул. Марата) 6 (: Mayakovskaya 'Маяковская'), ☎ +7 812 336 3333. 24 hours. Includes dental clinic, pediatric unit, and other services. Consultation RUB2700-13800. There are numerous public toilets, most of which are attended by a person who will charge about RUB30 for entry. Toilet paper is not always provided. The toilets are typically extremely dirty by Western standards. If you are a Westerner, you can get away with wandering into the Western hotels, which have lovely bathrooms. Just don't ever push your luck with suit-clad martial arts masters guarding the hotel entrances, they are tough as nails if provoked. Many restaurants also allow tourists to use toilet without being a customer. Belgium, Shpalernaya street, 38, ☎ +7 812 665-03-44, e-mail: nfo@belgiumvac-ru.com. M-F 09:00-16:00. Canada, Parkovaya street, 4, office 326, ☎ +7 812 449-77-52, e-mail: visa@pony-spb.ru. M-F 10:00-17:00. 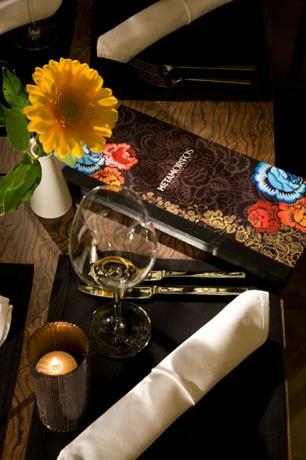 New Zealand, Nevsky Prospekt, 32, ☎ +7 812 642-3124, fax: +7 812 642-3124. M-F 09:30-17:00. Day trips can be done on your own or via an organized excursion offered by many tour operators. Even though it is a lot to see in one day, Peterhof, Kronshtadt, and Lomonosov are all in the same general direction west of Saint Petersburg and are all accessible by hydrofoil, so it is popular to see all three sites in one day. Gatchina — Big palace and park in a beautiful village 50km south of Saint Petersburg. Kronstadt — Old seaport town on Kotlin island, 20 km directly north of Lomonosov. Main Russian naval base from early 18th century. You may take a hydrofoil back to the Hermitage for RUB400 one-way. Lomonosov (Oranienbaum) — Park with museum honoring Michael Lomonosov. 9km west of Peterhof via the A121 highway. Train station name is Oranienbaum ('Orange tree' in German). TIP - You may also visit Kronstadt and take a hydrofoil back to the Hermitage for RUB400 one-way, an inexpensive alternative to the more expensive ones leaving from Peterhof. Oreshek Fortess — a medieval russian fortess at Orekhovy Island in the mouth of Neva, 50 km east of Saint Petersburg. Pavlovsk — Lusicous green park where you could feed the squirrels from your hands. Can be reached by train from Vitebskiy station (not the main hall, but the smaller hall for local trains, which is on the right side as you face the station). Pavlovsk train station is close to the northwestern gate to the park, and from there it is a long (but pleasant) walk though the park to the palace. Peterhof — Home of the sumptuous "Russian Versailles" and to the "Petrodvorets Watch Factory - Raketa" (tours available), 30 km southwest of Saint Petersburg. Pushkin (Tsarskoye Selo) — 25 km south of Saint Petersburg, with beautiful parks and palaces, most notably the Catherine Palace built for Tsarina Catherine I.
Repino — House-museum of the artist Ilya Repin, just off the Gulf of Finland, where he lived and worked. To get there: Elektrichka train from the Finlandsky Station (45 minutes, round trip fare RUB120, eleventh stop on the westbound line — check in advance to make sure the train you board stops in Repino — then from the station cross the main road and walk down the path to the left of the supermarket through a resort complex to the next major road. Turn left and walk about 1.5 km to the gate marked Penaty. The walk takes about 45 minutes. The museum and grounds close at 15:00, or earlier if there are no visitors. Vyborg — town situated on the Karelian Isthmus near the head of the Bay of Vyborg, 130 km to the northwest of St. Petersburg, 38 km south from Russia's border with Finland, where the Saimaa Canal enters the Gulf of Finland. Swedish built castle, started in the 13th century and extensively reconstructed by Russians in 1891–1894. Mon Repos, one of the most spacious English parks in Eastern Europe, laid out in the 19 century. Fortifications of the Mannerheim Line (built by Finland against the Soviet Union) are close by. Now available for day trips with high-speed rail. Novgorod — Ancient town with churches and museums, 180 km from St. Petersburg, can be accessed by high-speed trains. Narva, Estonia — 160 km southwest of Saint Petersburg on the Narva river, which serves as the border between Russia and Estonia. Twin castles (Russian, established Grand Duke Ivan III, and Danish/Swedish). Vologda — this city is considered the heart of Russian North, a popular local travel destination. Reachable by overnight train, from there you can go to Moscow or further north to Arkhangelsk. Petrozavodsk and the rest of Karelia — popular Russian travel destination for its beautiful nature and access to White Sea islands. Reachable by overnight or high-speed train. Moscow — the Russian capital is reachable by overnight train or in the daytime by the high-speed Sapsan train (about 4 hr) or by plane. As much to see as in St. Petersburg, so plan on several days here.